KATY PERRY Manila 2015 tickets now on sale! 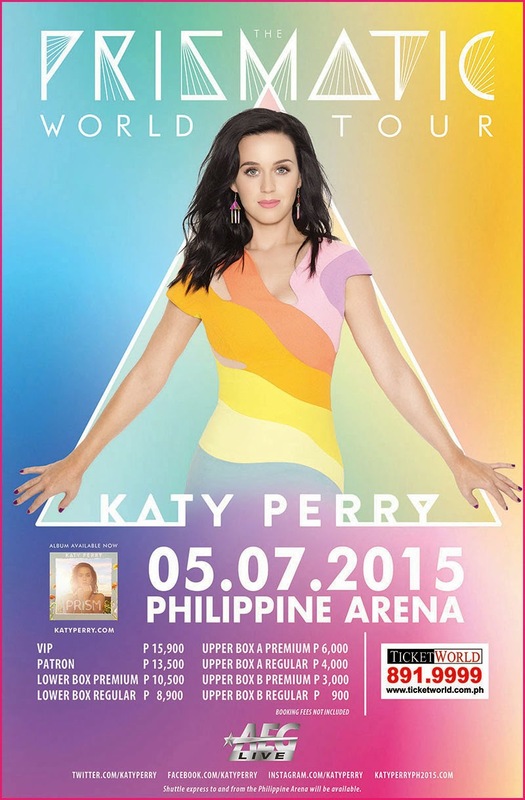 HomeconcertsKATY PERRY Manila 2015 tickets now on sale! International superstar, Katy Perry, has announced today that she will bring THE PRISMATIC WORLD TOUR to the Philippines on May 7, 2015. This tour is presented by AEG Live. She will be touring in support of PRISM, which debuted at number one on The Billboard 200. The platinum album has given Katy her biggest ever single with "Roar", while "Dark Horse" just became her lucky 13th Top Ten hit on The Billboard Hot 100. 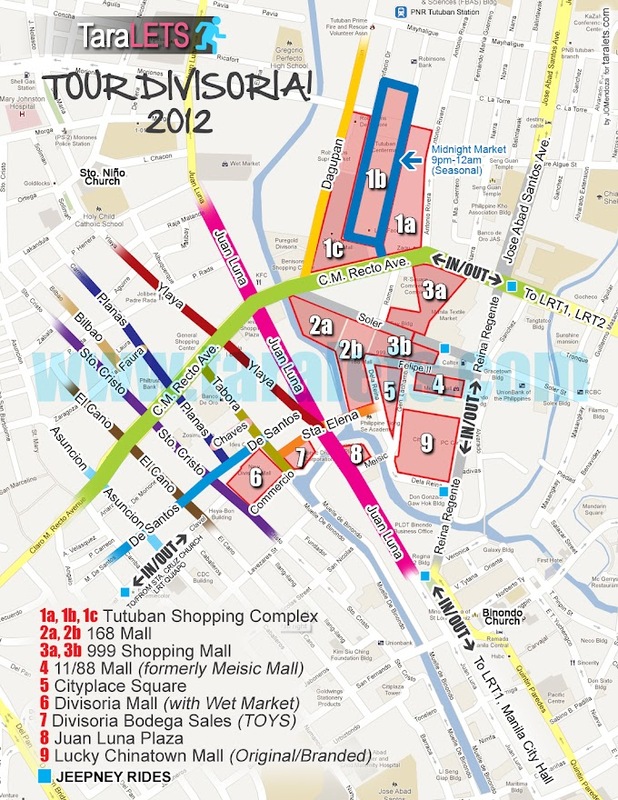 Tickets go on sale in store and online starting February 13 through TicketWorld. Ticket prices are PhP 15,900 for VIP, PhP 13,500 for Patron, PhP 10,500 for Lower Box Premium, PhP 8,900 for Lower Box Regular, PhP 6,000 for Upper Box A Premium, PhP 4,000 for Upper Box A Regular, PhP 3,000 for Upper Box B Premium, and PhP 900 for Upper Box B Regular. Booking fees not included. “I’m thrilled to bring the Prismatic World Tour to some of my favorite places in Asia, as well as some sensational places I've never been. I can't wait to take in the sights and the culture, and share my music and meet all of the new fans.” said Katy. Katy is currently touring the world on the Prismatic World Tour, which continues to be a hugely successful global spectacle, with 17 sold out arenas in the UK, 66 sold out arenas in North America and 25 sold out arenas in Australia/New Zealand during 2014. The tour continues in 2015 throughout Europe, Asia and South America where Katy will headline Rock In Rio in Brazil on September 25. The state-of-the art stage, specifically designed by Katy for THE PRISMATIC WORLD TOUR, allows her to get closer to her fans than ever before. The one-of-a-kind set design will provide concert-goers with a truly magical experience from every angle in the arena. Katy Perry cemented her status as a best-selling superstar with the global success of her second studio album, "Teenage Dream," which debuted at No. 1 in eight countries and spent more than two years on Billboard's Top 200 album sales chart. She became the only female artist to have five No. 1 singles from one album on the Billboard Hot 100 chart ("California Gurls," "Teenage Dream," "Firework," "E.T." and "Last Friday Night"). The special edition, "Teenage Dream: The Complete Confection," added "Part of Me" and "Wide Awake" to Katy's list of nine Top 40 chart-toppers (dating back to her multi-platinum debut album, 2008's "One of the Boys," which generated four hit singles: "I Kissed A Girl," "Hot N Cold," "Thinking of You" and "Waking Up In Vegas"). PRISM has already equalled the sales success of its predecessor, and generated five hit singles, two of which, “Roar” and “Dark Horse,” hit #1 for multiple weeks, which helped Katy set a new record at Top 40 for most total weeks (46) at No. 1 in the Billboard airplay chart's archives, and makes her the only artist in 2014 with top spins at three different radio station formats (Top 40, Hot AC and AC radio). She is the first artist to surpass the 75 million digital award threshold, counting digital downloads and on-demand streams – 20 million ahead of any other artist.